Quick turnaround is the standard for delivery experience in today's marketplace. Our end-to-end delivery services ensure that from your store or warehouse to your customers' doors, your product arrives on time. 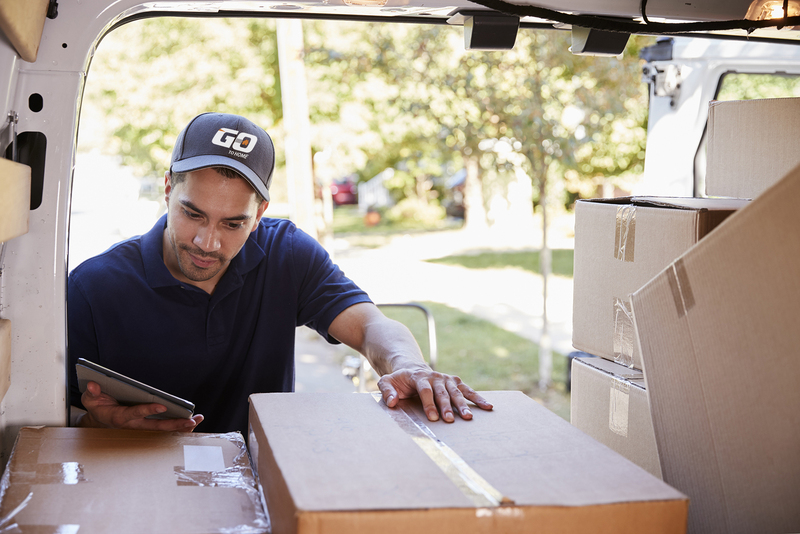 With other delivery services, your product crosses multiple companies and hands, increasing the risk of damage and delay. Our consistency allows you to have real-time access to your freight's location and status — ensuring the fastest turnaround. Go Logistics provides same-day service for all areas in the GTA, Monday to Friday. Orders placed no later than 11 a.m. will be picked up and delivered by a Go Logistics driver by the end of the business day. If you miss the 11 a.m. deadline, you can still place an order. The basic service is a 4- to 5-hour pick up and delivery. You must call in by 1 p.m.to ensure delivery of the package by the end of the business day. This service is a 2-3 hour pickup and delivery. You must call in no later than 3p.m. to have the package delivered by the end of the day. Have time sensitive shipments? Go Logistics will pick up and deliver it nonstop to its final destination. This is our most cost efficient service; cut off time to place a call for this service is 3:00pm. Go Logistics will pick up your package or envelope and have it delivered by the end of the next business day. Overnight deliveries apply to the Southern Ontario and major centres throughout Canada and the US. Your package is picked up and delivered in the morning the next business day to major destinations. Get round-the-clock service from our expert staff. Careful, continuous vetting and recruiting processes ensure that each of our associates are the best service delivery experts available to ensure you always have a positive experience and your product gets to its destination quickly. From customer support, to dispatch, routers and drivers, we vet each candidate to ensure top-tier experience. Use our delivery scorecards to check in on the reviews your Go Logistics team has received. We'll reach out to ensure you had a positive experience and were satisfied with the process.